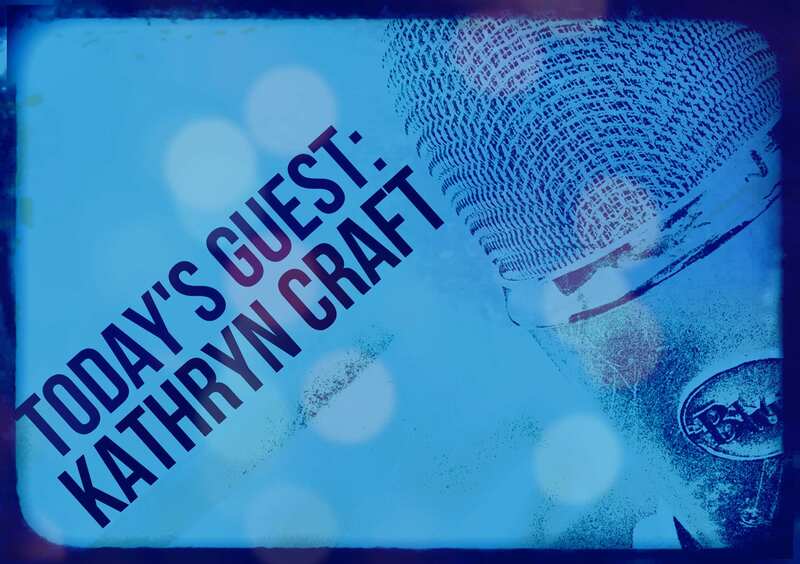 Our guest today is Kathryn Craft, the author of two novels from Sourcebooks: The Art of Falling and The Far End of Happy. Her work as a freelance developmental editor at Writing-Partner.com follows a nineteen-year career as a dance critic. Long a leader in the southeastern Pennsylvania writing scene, she hosts lakeside writing retreats for women in northern New York State, leads writing workshops, and is a member of the Tall Poppy Writers. For more than a decade I sorted through the chaos of my first husband’s suicide, seeking order through short narrative arcs. I assumed I’d one day write a memoir—that life would serve story—but instead grew to appreciate more fully the way story can serve life. The day I realized that the best way to show how the standoff had seared our lives would be to constrain the story to its twelve hours, I was well on my way toward novelizing. This post reflects some of my learning about the process. Connect with Kathryn on her blog, on Facebook, and on Twitter. We writers draw inspiration from our own experience all the time. We can’t help it—the events of our lives, how they made us feel, and what we’ve learned from them have created the very perspective from which we write. [pullquote]Story is a series of carefully constructed, thematic, and escalating pressures brought to bear on a character in pursuit of a goal. Life isn’t. [/pullquote]That real-life influence can be oblique, as when I wrote The Art of Falling. I didn’t need to suffer Penelope Sparrow’s crippling sense of body image to understand the way our bodies can betray us; my body had miscarried two deeply desired pregnancies. In my novel releasing this week, The Far End of Happy, the real life inspiration is more straightforward. From my work as a freelance editor, I knew that predictable pitfalls abound when novelizing true events. Here’s how to steer clear of them, should you decide to give it a go. Compose using every instrument. Chances you’ve already shared this real-life event verbally, perhaps time and again. “I can’t believe that happened to you,” people may respond. “You should write a book!” Now that you are, resist the temptation to rely upon your reader’s vicarious interest in “what happened.” Even if you “tell” the story well, it won’t be enough. Telling is like singing a bard’s melody—why stop there when literature allows you to evoke emotional experience with the power of the entire symphony? Dig deep to characterize yourself. If one of your characters will be a thinly veiled version of you, don’t forget to give him a personality that will carry his story. You may find you need to do a lot of journaling to devise backstory motivations, identify deep needs and closely held beliefs, and conjure a story goal that will make this character pop. Dig until you uncover all of your hidden vulnerabilities. Then summon your courage, because your reader wants nothing less than for you to lay them bare on a public page. Re-envision life’s coincidences, accidents, and near misses. Story is a series of carefully constructed, thematic, and escalating pressures brought to bear on a character in pursuit of a goal. Life isn’t. Near misses and pulled punches will only frustrate your reader, who will hear in your character’s sigh of relief, “That was close—thank goodness I don’t have to change after all!” The reader intuitively knows that in order for a character to embrace change, you-as-author will have to put the screws to him—even if he represents you, or someone you’ve loved. Forget what people “actually said.” Such quotes can feel like inviolable bits of history, but reporting them rarely allows you to harness dialogue’s full power to further story, deepen characterization, and deliver subtext. If you must cling to a line of dialogue (ahem as I did, through several rewrites), be prepared to roll up your sleeves. Setting it up to work the way you hope may take more work than you think. You’ll still need to orchestrate your character set. Authors fictionalizing true events tend to fall back upon actual people rather than work to create characters that can best exemplify the conflicting perspectives that will bring the story to life. If one of your characters is failing to push your protagonist along her arc, either deepen her motivation, invent a subplot in which she can illuminate your premise anew, or give her the boot. Feed your imagination. You’ll know what I mean the first time a beta reader suggests a plot change and you are tempted to reply, “But that’s not how it happened.” If you choose to embrace fiction, none of it ever really happened. This writing is meant to be creative. So listen to different music. Scribble. Scrapbook. Re-arrange events until you’ve created an emotional arc that screams, “This is a must-read!”—even if the bear didn’t really steal your picnic lunch and your boyfriend didn’t lose a finger bopping him in the nose. Unconvinced on that last point? Remember: your reader did not choose to read a biography or a memoir. She chose a story off a shelf that includes Kingsolver. Gaiman. Flynn. She expects that “even though” and perhaps “because” some of your events were true, you have access to the raw material that will soon transport her along a road similar to the one that changed your life—but this time, aided by the full benefit of that engrossing alchemy of the real and the imagined known as the modern-day novel. That doesn’t mean your work is any less “true.” It just means that you are a novelist who understands that sometimes the accumulation of fact is less compelling than evoking emotional truth through story. Have you drawn inspiration from real life events or experiences? What pitfalls have you encountered? What successes? The part about writing fiction that I like is that you get to go back and make things happen like they SHOULD have happened. I loved your comparison between life and fiction. You get to set things right with the universe. Just for heaven’s sake – file off the serial numbers so that even CSI can’t get them back. That is the opposite side of the ‘dig deep’ coin. Alicia I agree that changing the approach to problem solving, or the outcome, is a very healing use for story. In my case, while still preserving many of the unknowns that lead to suicide, I chose to seek why these three women found themselves in the position of waiting out this standoff. Seeking why, too, is healing. True events can serve as a story springboard in so many ways! Great tips, Kathryn! One thing I love about fictionalizing real life is repurposing people and things. Let’s just say that a re-imagined nemesis might have some BIG problems! Or a big nose. In THE GLASS WIVES I made sure that my main character’s dead ex-husband had no siblings, since in real life my ex’s siblings were very much alive but absent from my kids’ lives for 10 years. In THE GOOD NEIGHBOR I flipped reality. When I started blogging in 2006 I used the blog as a place to be very honest. In the novel, my main character Izzy, uses her blog as a place to lie about her life. Still, real life informs it all, because the underlying emotions are similar. Amy what an entertaining comment! (And is it okay for me to be thankful we didn’t grow up together, lol?) As I stare out into the void from which must arise my next novel, you are the one who has given me plenty of food for thought. thank you! You go girl! This article is even more interesting in light of my having finished your heart-baring, multi-layered story yesterday. Humbling. That’s what you are. Yay, thank you Panera Bread and free wifi! Stopped for lunch so can answer a few comments. Tori, each new person who says they’ve read my book, and who in any way connects with it, Is absolutely an interpersonal moment. It’s reinforcing the fact that reading is truly an intimate act. Author and reader, connecting through story. Thank you for sharing the experience with me and I look forward to meeting you in person some day. Wonderful advice, Kathryn! 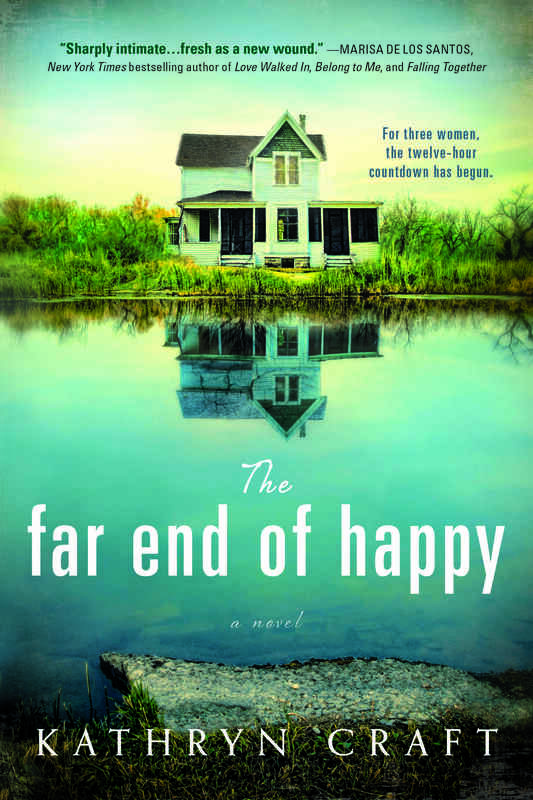 I absolutely can’t wait to read The Far End of Happy! Thanks Andrea, my fellow Poppy! I look forward to reading Imaginary Things as well. The beauty of the act of writing, and how it reflects our personalities and different ways of thinking, never ceases to amaze me. Wish Skype worked both ways so I could have heard your reading at the Mystery to Me Poppy Slam in Madison, WI yesterday! Thanks Martha and OMG about the cover—I was thrilled with it the second my publisher showed it to me (with no input from me, btw). Every time I look it still astounds me with its heartbreaking beauty ! This is such solid advice, Kathryn. I just love this line: “Remember: your reader did not choose to read a biography or a memoir.” In writing workshops there are always those authors (ahem, including me on occasion) who say, “but that’s what happened!” but as you know, that’s not the point of fiction. Also, “seeking why, too, is healing” – YES. That’s one reason why I write, why I always will. Very much looking forward to reading your fictionalized account of those harrowing 12 hours. Thanks Dana! Love the quotes you pulled, too. The reader’s experience should be our #1 concern. When I got the book deal I still wasn’t quite sure what I meant by fictionalizing. Luckily I had a good writing buddy on hand who said, “Well, for instance, you could have two girls instead of two boys.” And I said, “But that’s not how it was!” Heh-heh. So I hear you! On the other hand, I did have to identify fictional elements that felt meaningful and not random. That was my first challenge. Hey all, I adore each comment and want to answer back individually but my phone is nooner displaying a “reply” option. Don’t even know how I replied to Amy’s! Don’t let that stop you from commenting. The “dialogue” portion of the commenting will have to happen when I get home this evening. Please check back! As you say at the beginning of your excellent post, writers can’t help but draw on their own experience. In a Q&A with self that I wrote for my website, I go even further: I insist there’s nothing BUT personal experience. Whether it “actually happened” in the world, or in the writer’s imagination, it was that writer’s experience. As for consciously fictionalizing people from the world of direct experience, I’ve never been able to do it. Whenever I’ve tried, I ended up writing history, not fiction. I think I have too strong a sense of obligation to real people and events to exploit them as material. This isn’t a matter of morality or principle with me so much as one of temperament. Something in me resists the conscious wish to turn someone I’ve known into the fictional equivalent of a GMO. If, say, Philip Roth had suffered from this problem, he would have had to open a cheese shop. A readable, thought-provoking post–thank you. “…fictional equivalent of a GMO.” Ha! Loved that, Barry. One of the most troubling legacies of suicide is the plethora of unanswered questions. I will never know which came first: my husband’s depression, the alcoholism, or the financial troubles. I won’t know which of his challenges eventually broke him, or why his despair was so irreparably complete. To change that would be to give false testimony about suicide’s impact. So I chose to focus on the living, and to invent backstories that impacted relationships yet seemed too shameful to discuss. This was fiction, yet felt very true, and pushed my protagonist along her story arc. So again, the “why.” At least I’m consistent—my mother wrote about my incessant questioning as to “why” in my baby book. You might think all kids drive their parents crazy with the question but I’m one of five and the only one to get the baby book call out! Thank you for a fresh approach for tackling a story based on true events. I have been trying to write a story based on part of my life. I will take your advice and start again. Thanks for the comment, Lori. Hope it helps! This is solid and noteworthy advice as the germ of a story so often resides in our own experience or that of someone close to us. For me, working through a hard time started with morning pages and eventually worked it’s way into a novel. Fiction and one’s creativity allows a new look or a different look at the events of living. But it is a brave move to mine the emotion and heartache of life experience and to bring it back to readers. I am eager to read THE FAR END OF HAPPY and congratulate you on so many levels. Thanks Beth. I look forward to reading yours as well! And in solidarity: my novel opens with my protagonist writing in her journal. Such a powerful way to center yourself. Very useful advice, important to remind myself of it every now and then. Although I am writing a crime novel (so murders have not actually taken place in real life – I hope! ), but there are some elements that are taken from true events and so the temptation is always there to be more faithful to reality than to the story. So glad murder hasn’t been a regular part of your life, Marina! Balancing the fictional and the real is a tricky balance to be sure. But I love mysteries that offer up life truths beyond whodunnit—Elizabeth George is so great at that—so good for you! I wish I had read this three drafts ago! My WIP is based on real historical events and people. I began this project intending to tell a true story and restore a legacy. I have a staggering amount of raw material and my first drafts were admittedly a string of “episodes” that, while all true, had no conventional story arc. I improved matters considerably in later drafts, but not enough. The story did not work but continued to haunt me. I took a deep breath and let go of the Truth in favor of the could-have-been-true if the character had the chance to live her life over. Rather than trying to force my protagonist into the corset of history, I let her breathe freely. Yes, this meant losing a POV I dearly loved. Yes, it meant I could not focus on that lost legacy as much as I’d originally intended. I had to murder many, MANY darlings. I’ve gained a compelling story, though, so it’s well worth the effort. Thank you for this post. It both spoke to me and confirmed I’m on the right track. I can’t wait to read THE FAR END OF HAPPY! Just reading this comment of yours, and hearing of your process, got me excited about your book—and I don’t even know what it’s about! Sounds like you are on the right track and I can’t wait to read it. Thanks Janet. Your question is a little vague, though—what kind of advice on editing and publishing are you seeking! The archives of this blog contain many, many posts that could be of use to you. Useful tips if I should ever decide to fictionalize the material from my former practice, Kathryn, so thank you. I’ve always been concerned about confidentiality issues but I can see how there would be a hole host of story-related demands that would be important to address. I can only imagine that a doctor, like a therapist, lawyer, or priest, would have confidentiality concerns. Plus, I do believe that if you’ve lived through something, it’s kind of your story to tell. Yet since no two of us would choose to tell any story in the same way, not to mention the numerous variables that fictionalizing could introduce, that may not be much of an issue. For instance, one of my early Far End of Happy reviewers on Goodreads was upset that the book didn’t focus more on the suicidal man. It was my opinion though, based on my experience, that this man took his voice out of the world, and therefore did not seek a perspective. Someone else can write that story. This really stands out to me, Kathryn: “you have access to the raw material.” and this propels you to understand that “sometimes the accumulation of fact is less compelling than evoking emotional truth through story.” What a force of words to drive you on as a writer and keep you grounded in fictionalizing that truth! In my first novel I fictionalized many pieces of my life into scenes that were cathartic for me to write – and in doing so re-write the true story the way I wanted to see it while evoking new truth. I cannot imagine what strength you must have needed to sustain this force of words to re-write your entire tragic story while digging deeper to evoke such powerful emotional truths alongside great hope as well! Bravo my friend! Aw, thanks Donna. Your comment reminds me of a Healing Through Writing workshop I taught recently in which I girl who used to use heroin wrote of her sister’s recent relapse. She had volunteered to read her piece but when she got to the part she had fictionalized—that her sister had died from this relapse—she ran from the room in tears. That is of course because her sister dying was her worst fear. Facing our worst fears on the page—what a great, healing use of story. Kathryn, much of this is also good advice for memoirists, as well, at least those who want to publish their memoirs for a larger audience. When I teach memoir-writing classes, I emphasize that, while we have to tell the truth, we also have to dig deeply into ourselves and the other people to understand our/their needs and beliefs and where they came from. We also have to select events to create a narrative arc–something that is not obvious in the chaos of real life. As you point out, when fictionalizing true events, we don’t have that straitjacket. It also might help to consider the idea embraced by many memoirists (since we obviously didn’t transcribe every action and word of dialogue at the time): aim for the emotional truth of the scene. Great parallels to memoir writing, Barbara. Thank you for your comment! While every writer seems to think themselves capable of writing memoir these days, it is rare that real life offers up all of the events needed to tell a compelling story. But when it does, it will be one hell of a story! Great memoirs, like great fiction, can be rare—and it’s all because of the storytelling. Fabulous post, Kathryn. Such important points to consider. I have already novelized a period of my life into a full length MS and, although I added a fictitious murder, it was amusing and frustrating to me when beta readers blithely ignored the murder and instead focused on real events from my life and said, “oh, that couldn’t really happen”! I love this: “If you choose to embrace fiction, none of it ever really happened.” I have to remember that in hewing too close to the truth, I can miss opportunities for good storytelling. And Deborah, I love this: “I have to remember that in hewing too close to the truth, I can miss opportunities for good storytelling.” So we have a mutual admiration society going. A few months ago I wrote a blog post titled “Anything You Say or Do May Be Used in a Story” (http://louannpope.com/anything-say-may-used-story/), which readers of this post may find interesting.